Last week I went on a little adventure. I hopped a plane from my little town in Pennsylvania and landed in Boston, then took a ferry which landed in the most-gorgeous Martha's Vineyard. I had never had the pleasure before so I was especially excited to see the island but even more excited about a particular house ON the island. 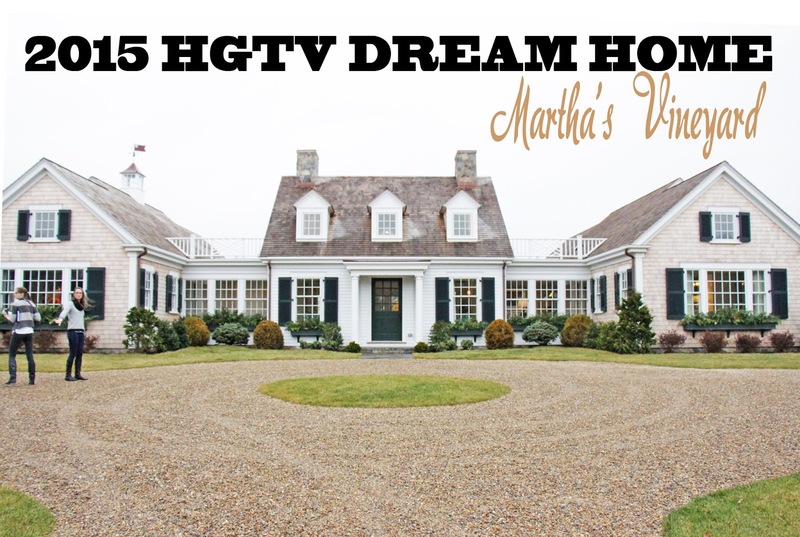 The 2015 HGTV Dream House (pictured above). 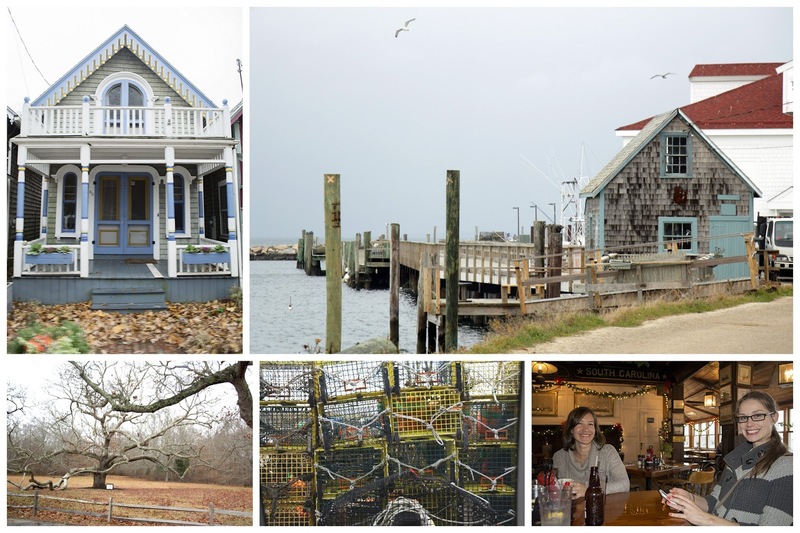 If you've never been to Martha's Vineyard, let me tell you, it's easy to see why it's so famous. The entire island has a New England sea town feel to it. And there isn't a single house that doesn't look the part. Unlike the beaches in NJ and delaware, the ocean is pretty level with the town so the shoreline is very close to roads and private homes which makes for very scenic tours. 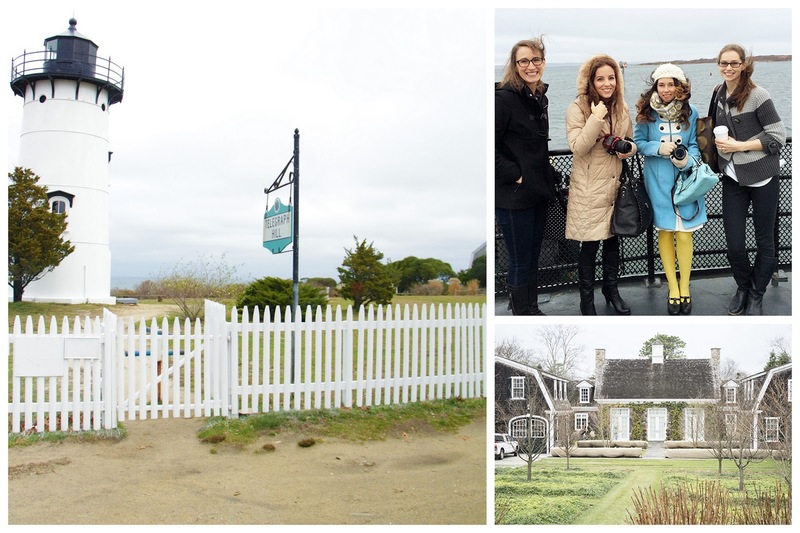 Lighthouses, picket fences, docks and cedar shingles abound! 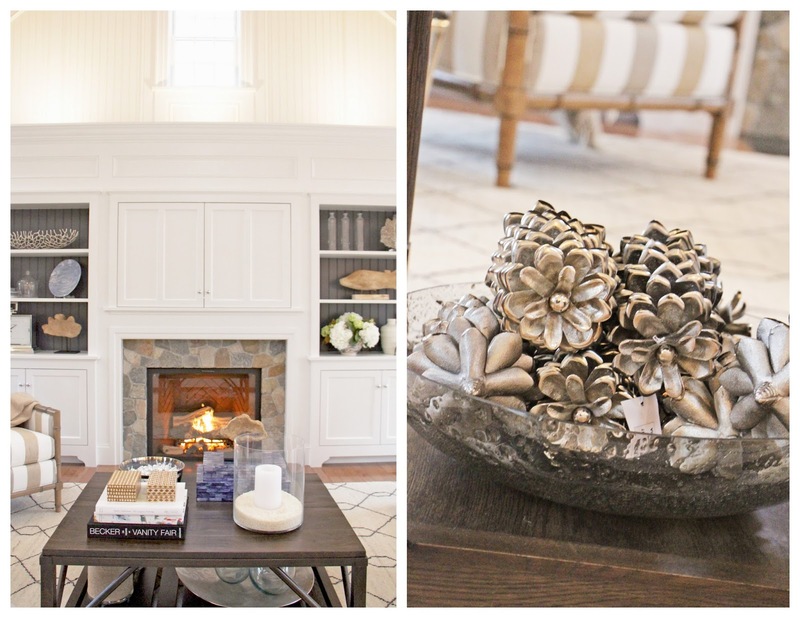 Of course this makes the perfect setting for the HGTV dream home! 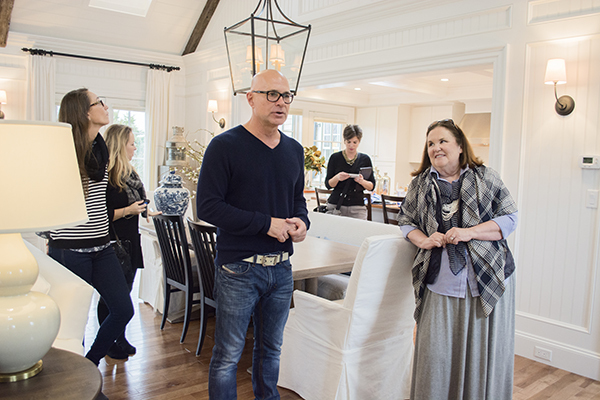 Meet Jack Thomsson Dream Home Planner and Linda Woodrum Dream Home Designer. 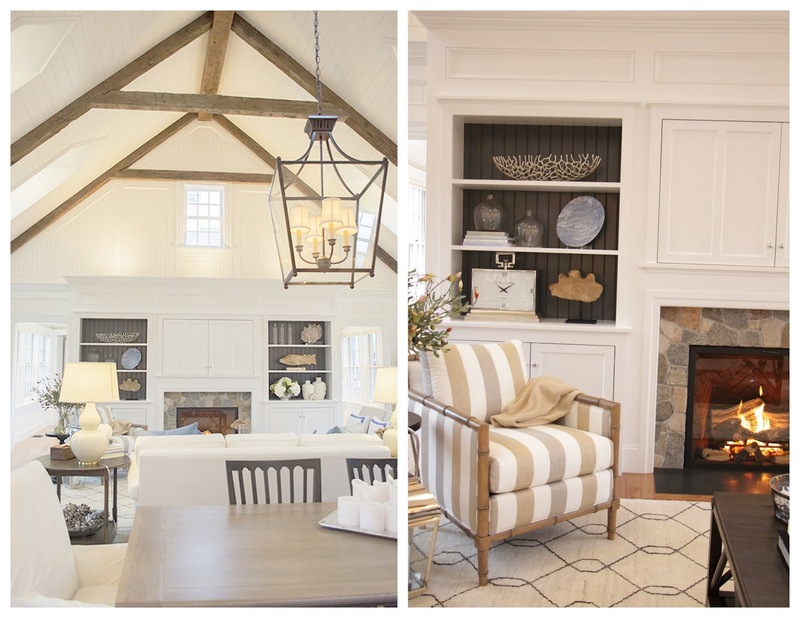 Both of whom expressed the joy and effort which goes into planning each dream home, as well as how bittersweet it is to hand over the keys when the winner is chosen. So let's get started! First the great room! It's the first thing you see when you walk through the door so we'll start there. 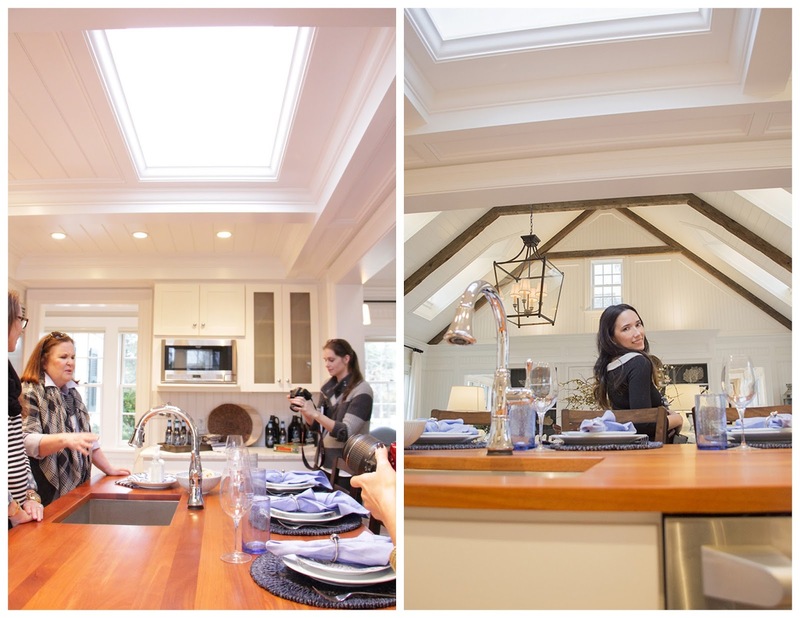 Immediately you're greeted by these gorgeous vaulted ceilings and skylights. 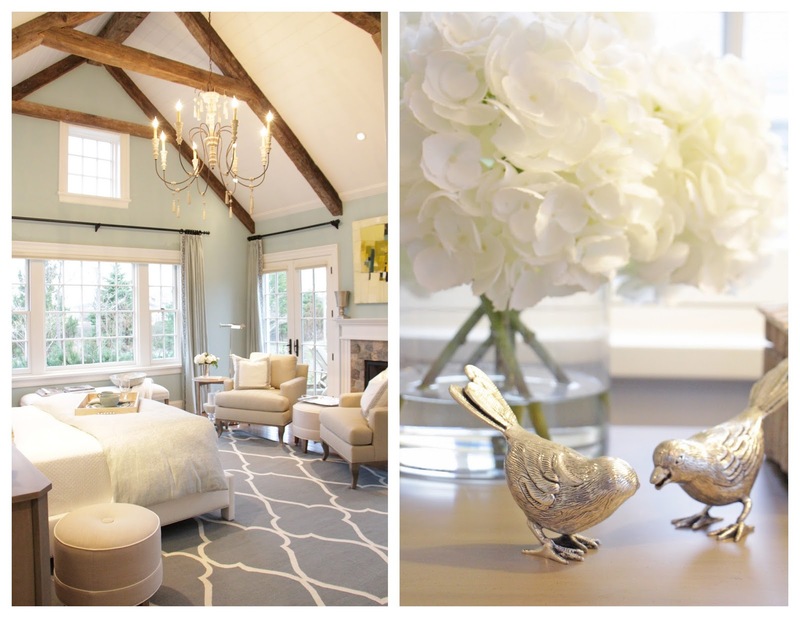 The whole room is white with white beadboarding on the walls and white trim encasing every corner. I swear it's even more beautiful in person. So many Ethan Allan details. 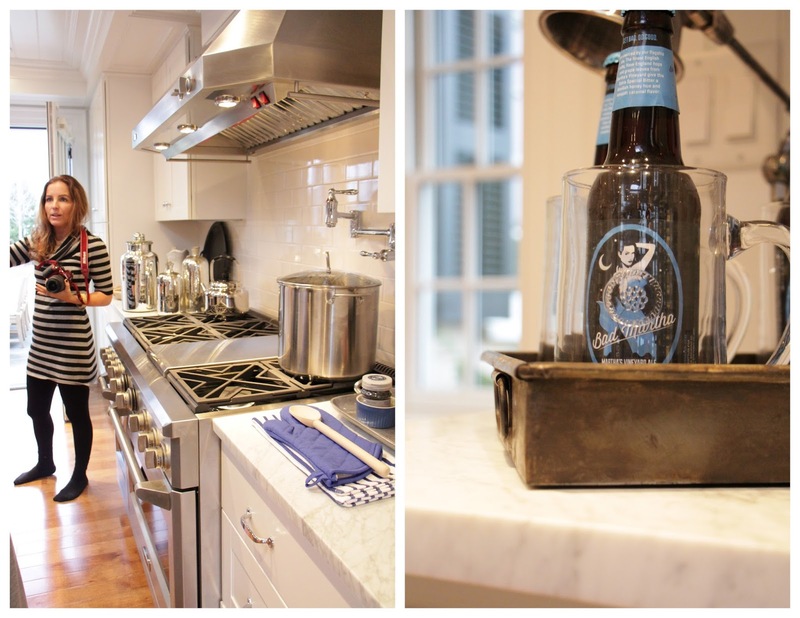 Moving on to the kitchen! 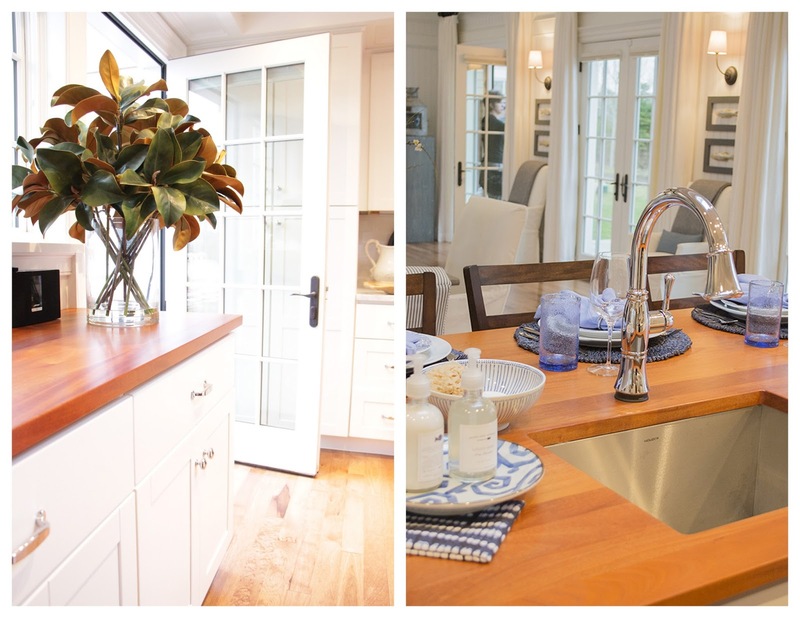 Love the Cassidy faucet from Delta with Touch2O technology. Don't worry about those sandy beach hands. Just touch the faucet with the back of your hand and enjoy a soft spray of water. 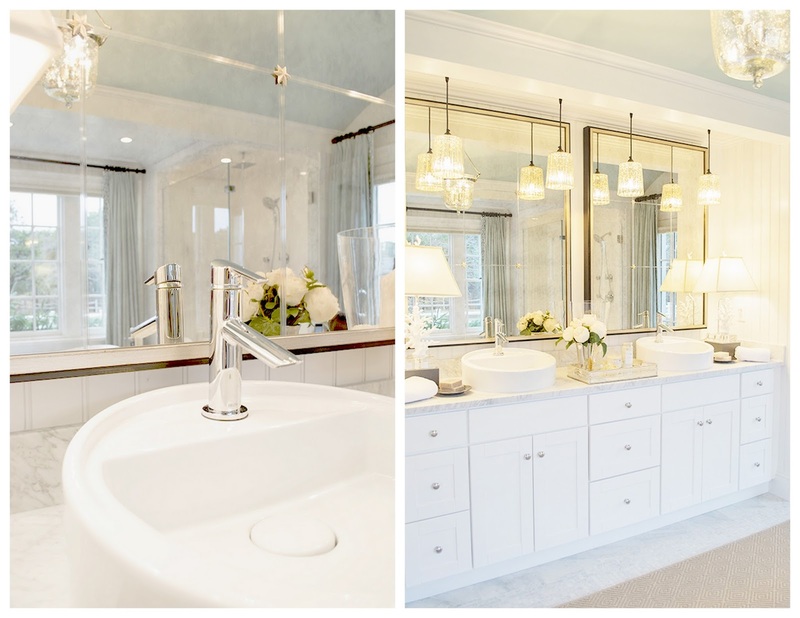 Which leads to this gorgeous master bath! 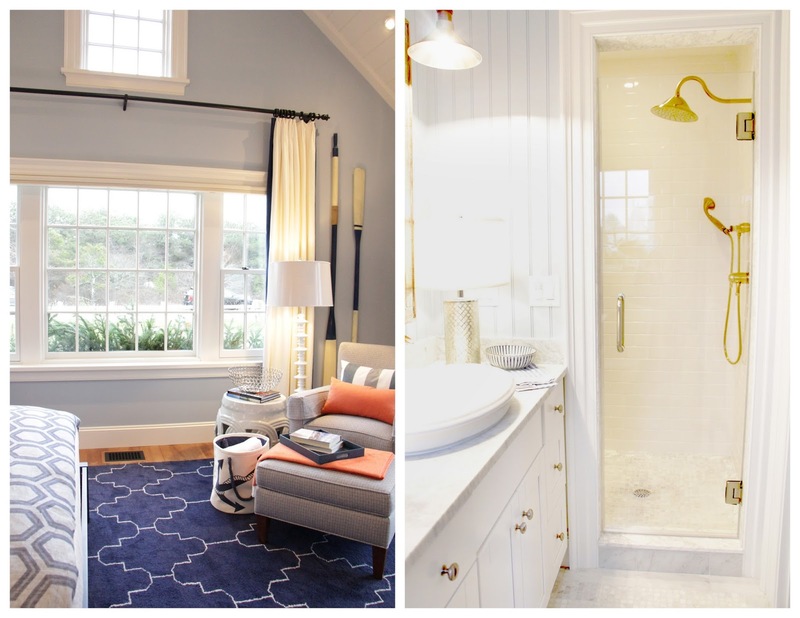 Haven't you always wanted french doors in your bathroom? Check out the gorgeous Compel bathroom faucet by Delta Faucet in chrome. Also featured Delta's new FlushIQ technology toilet. You don't have to touch to flush which means not having to worry about germs on the handle! 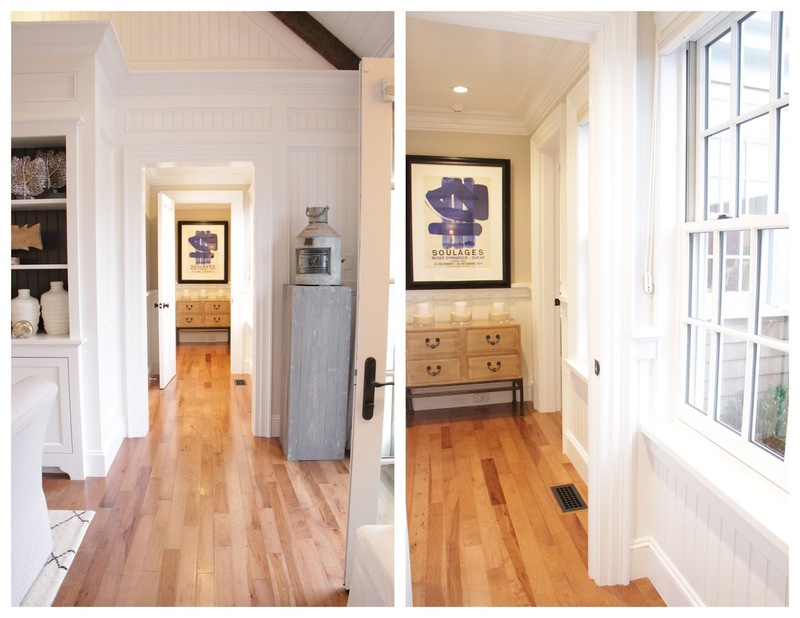 Next to the bathroom was the Master Bedroom's walk-in closet and dressing room. 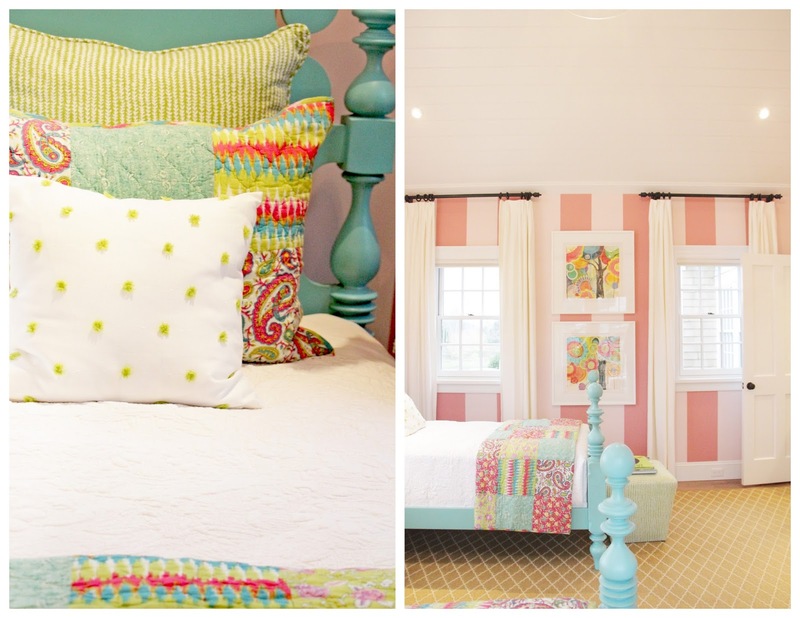 And onto the Master Bedroom! 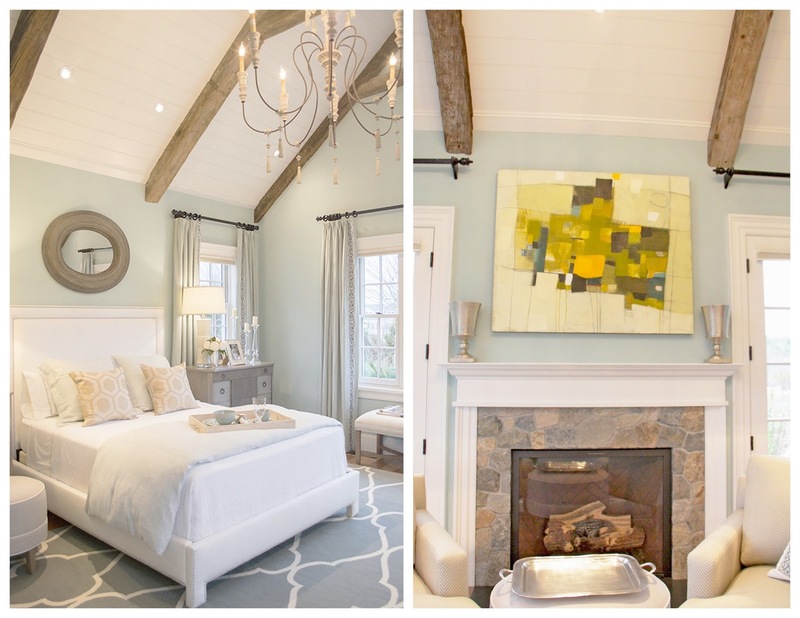 What's a bedroom without vaulted ceilings and a fireplace? On the other side of the house was something I'm glad my kids couldn't see. If they did, I'd never hear the end of it. I'd have to promise a bedroom makeover that would never live up. 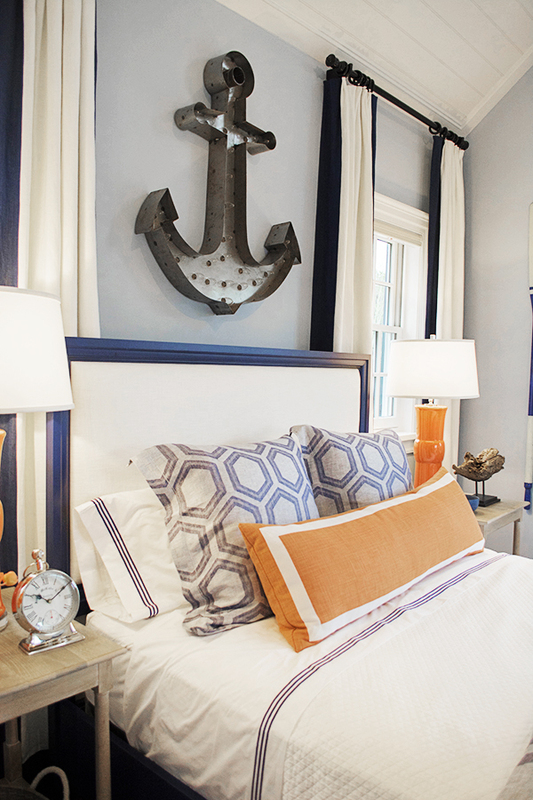 The room just POPS as you walk in. 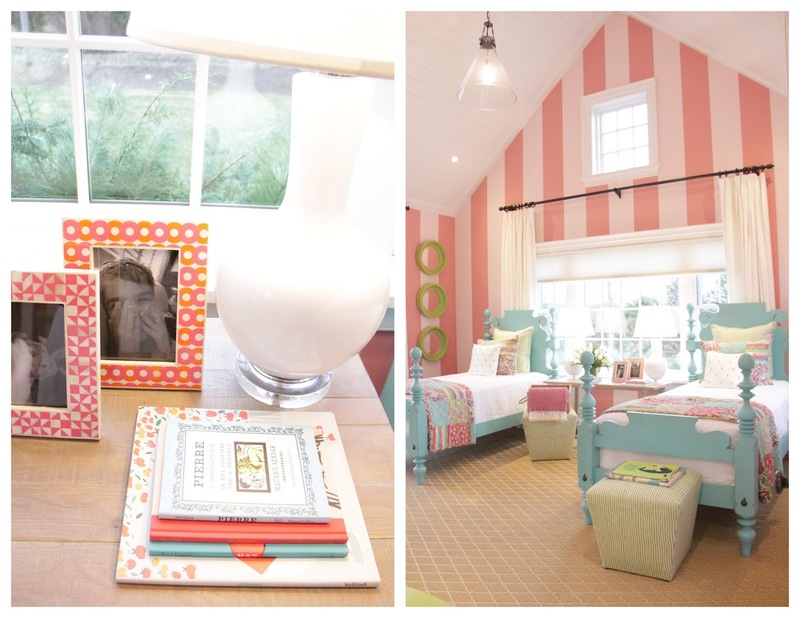 What two little girls wouldn't love to live here? 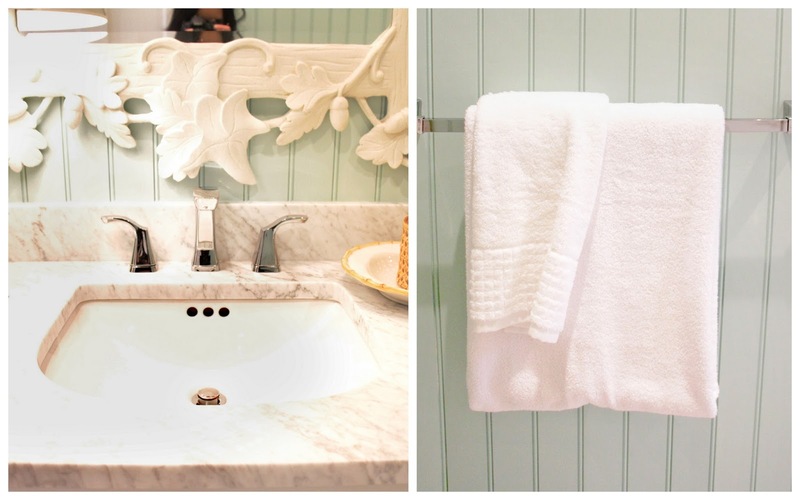 And the kids bathroom featuring another beautiful Delta Bathroom Faucet yet to be released as well as the Delta Faucet Dryden Towel Bar. 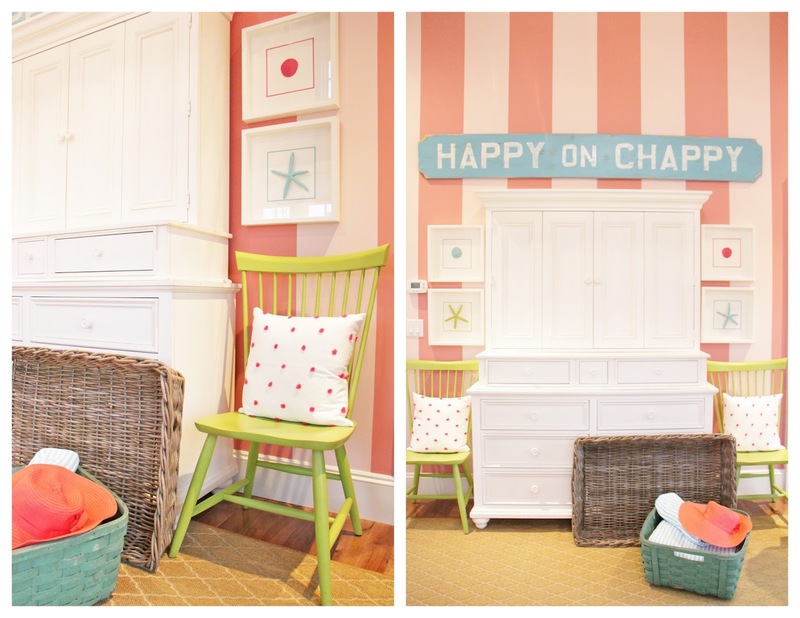 Towards the front of the house across from the kids room lay another bedroom suited for a boy. Another gorgeous Delta Shower Head and hand shower in polished brass. 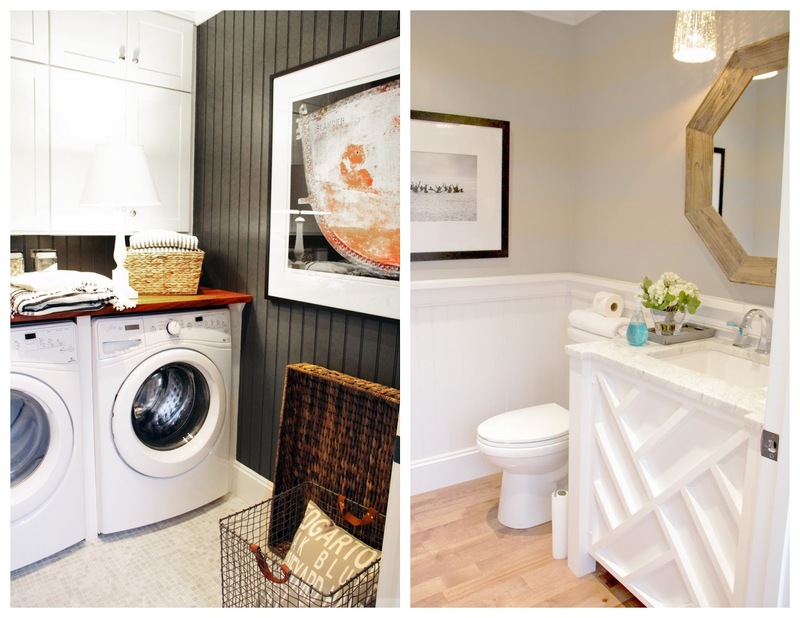 A powder room and laundry room. 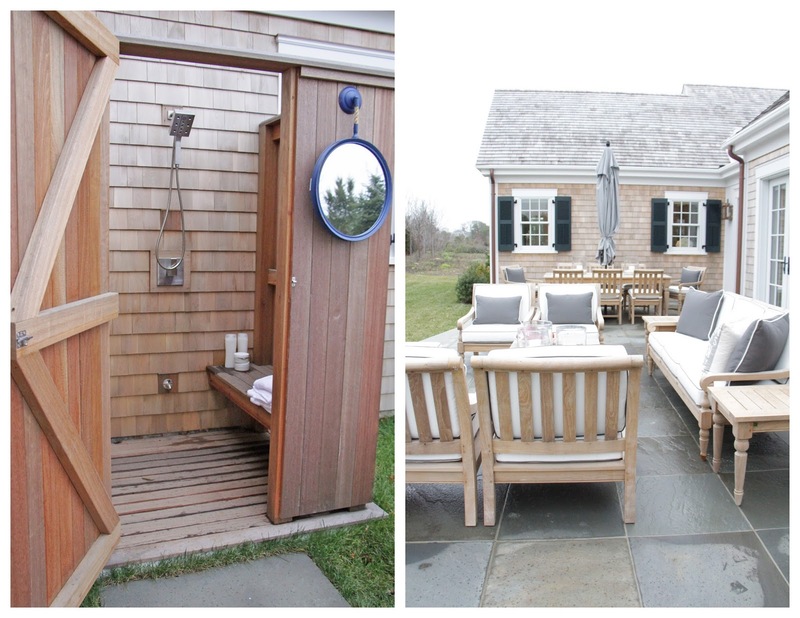 The backyard and patio with outdoor shower head courtesy of Delta Faucet. Even the dog lives poshly. Check out those window box dog dishes! And the winner of this AMAZING house also gets three Townie Bikes to ride around town on. As well as this! 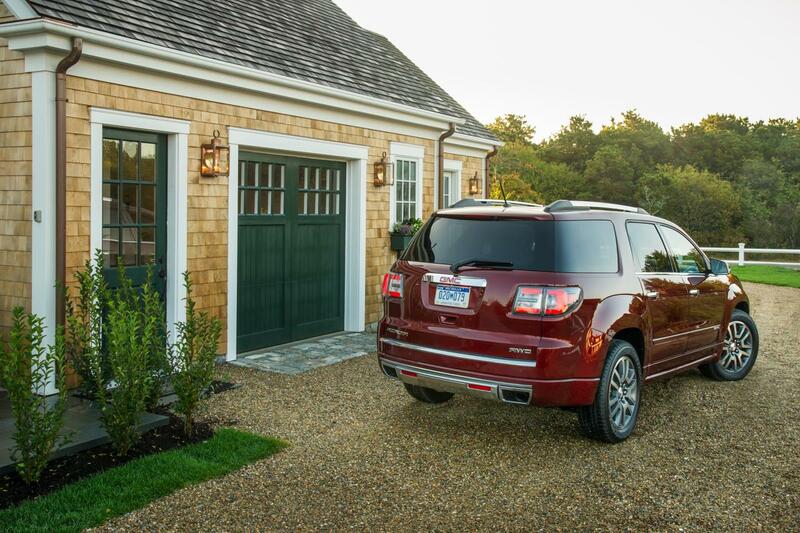 A 2015 GMC® Acadia Denali!! Well, I hope you enjoyed my personal tour. Thank you to Delta Faucet for providing me with the opportunity and hosting me and my fellow bloggers to this unique treat. So....who's gonna win this sweet dream? Love how you captured our trip and described it so much better than I did!